Consistent with the IADC Red Thread program, the SAPC discussion forums shall provide the environment to initiate the catalysts that will lead to improved industry performance through enhanced operational integrity and better cross-industry regulation. Mark your calendars, the dates for our 2016 SAPC IADC Golf Tournament have been determined. 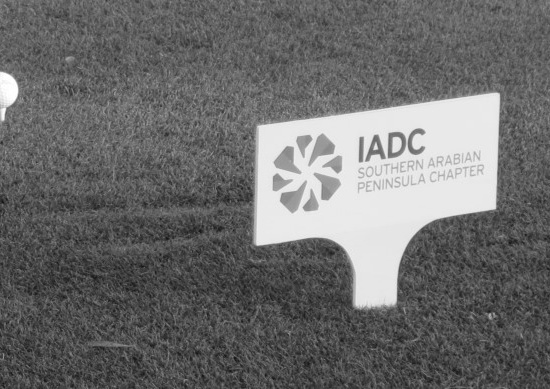 The SAPC IADC Golf Tournament is recognized as one of the premier events of the Gulf region, if not the world! Each year this exhilarating two day contest draws golfers from every sector of the oil and gas industry to compete for exciting prizes and enjoy the world class golf at Emirates Golf Course. Information regarding how to register a team for this event will become available January 2016. Please note, you must be a paid member of the Southern Arabian Peninsula Chapter of IADC in order to participate in this event. For more information regarding the SAPC or the golf tournament, please contact info@sapc-iadc.org.